The Singalong Pro Dual Speaker Karaoke Microphone is a great way to get friends and family together for a great time! This microphone boasts a Bluetooth speaker that connects effortlessly to your Smartphone, tablet, or computer. 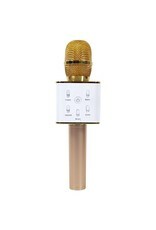 This Sing along Mic is compatible with android or Apple operating systems. The Sing along Pro Mic also features a high capacity battery for up to 5 hours of enjoyable wireless entertainment. 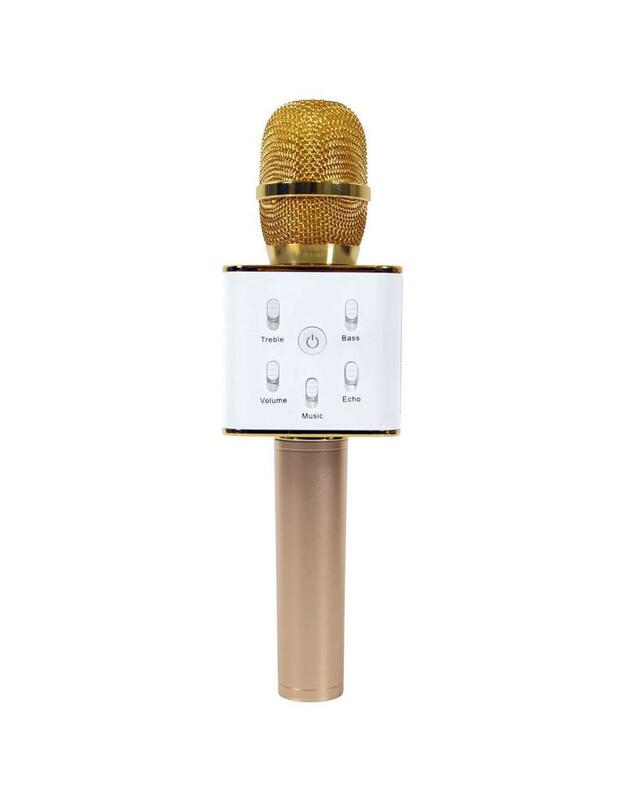 This amazing microphone can be used independent of connection to a smart device for full independence and mobility. Sing along also has 5 built in audio filters, high pitch, bass, volume, reverb, and accompaniment for lots of fun and full control.